Every city has its own stereotypes. San Francisco is foggy, gay friendly, and a foodie town. New York is fast paced, cramped, and also a foodie town. (Notice I said foodie twice.) Las Vegas is king (or queen) of many preconceived notions. We don’t all live on the Strip. Now let’s think about that for a second. 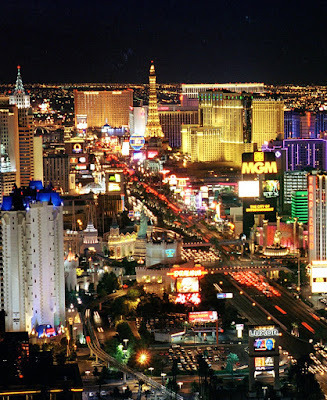 How is it possible for that little street named “Las Vegas Boulevard” to house almost two million people? Also, we are no longer the town of buffets and cheap midnight breakfasts. Well, I won’t go further into all the stereotypes. I tend to write really lost posts so please forgive me. With stereotypes in mind, I’d like to introduce a show that I love. Yes, it is a show full of impersonators but it is definitely NOT cheesy. Legends in Concert at the Imperial Palace has been around for over 25 years. The show is full of talented individuals who sing LIVE and have studied their craft and perfected it. I also must mention that they sing along to a live band and not prerecorded tracks. To top it all off, my father in law does spotlight for them and I’ve been lucky enough to have seen it many times! Karin Lawson is a personal friend who started as a backup dancer and singer and went on to hone her craft to become the Janet Jackson impersonator. She's available for hire and yes I'm plugging her. I have also had the wonderful opportunity to work with Shevel “LL” Hyner of the Tribute to the Temptations who has gone on to perform all over the world and on major cruise ships. I am honored to have been on stage with both Karin and Shevel around town. A few other performers I enjoy are Jazmine Hyytia who impersonates Whitney Houston and has an AMAZING voice as well as the fun Coty Alexander who impersonates my style idol Gwen Stefani. Of course, what’s a Las Vegas show without an Elvis? Matt Lewis is so entertaining to watch. He even did a stint in Laughlin and we traveled there to watch his show and I loved it! Yes, I’m not embarrassed to admit that I’m an Elvis fan. So if you’re ever in the mood for a stereotypical Vegas show, drop on into Legends in Concert and I guarantee you’ll have fun! Can you find my home in the above picture?